Edited by Thupten Jinpa Ph.D.
Like the bestselling A Flash of Lightning in the Dark of the Night, Practicing Wisdom focuses on Shantideva's Way of the Bodhisattva. While the former includes only a brief introduction to Shantideva's complex and crucial ninth chapter on insight, Practicing Wisdom is a full and detailed follow-up commentary, making it an invaluable statement on the fundamental concept behind Buddhist thought and practice. Shantideva says at the beginning of the final chapter of his Guide to the Bodhisattva Way of Life: "All branches of the Buddha's teachings are taught for the sake of wisdom. If you wish to bring an end to suffering, you must develop wisdom." Shantideva's ninth chapter is revered in Tibetan Buddhist circles as one of the most authoritative expositions of the Buddha's core insight, and all other Buddhist practices are means to support the generation of this wisdom within the practitioner. 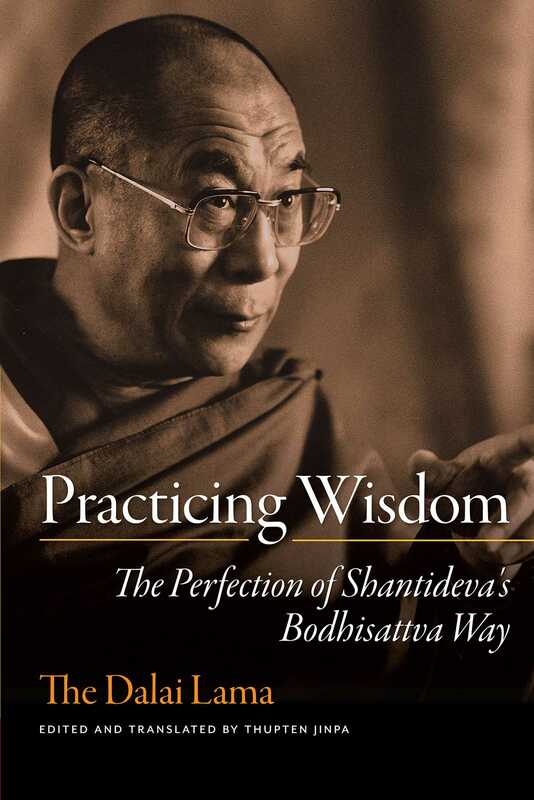 In Practicing Wisdom, the Dalai Lama reaffirms his reputation as a great scholar, communicator, and embodiment of the Buddha's Way by illuminating Shantideva's verses, drawing on contrasting commentaries from the Nyingma and Gelug lineages, and leading the reader through the stages of insight up to the highest view of emptiness. These teachings, delivered in southern France in 1993, have been masterfully translated, edited, and annotated by Geshe Thupten Jinpa, the Dalai Lama's primary translator and founder of the Institute of Tibetan Classics. A Shambhala Sun Best Buddhist Writing selection.